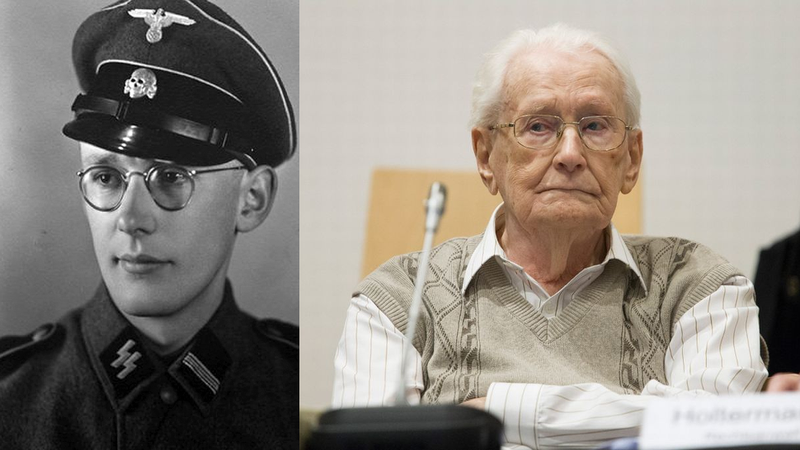 Oskar Groening, a 94-year-old former Auschwitz guard, admitted to feeling “moral guilt” for serving as an SS sergeant at the infamous Nazi death camp. The landmark ruling shows that courts are willing to prosecute those involved in the Holocaust irrespective of their “minor” roles or advanced age. After a two-and-a-half month trial in the northern German city of Lueneburg, presiding judge Franz Kompisch ruled that the former guard was guilty of being an accessory to the murder of 300,000 Jews. The former guard now faces four years in prison, which, given the severity of the charges, seems absurdly lenient. According to his testimony, Groening—the so-called “bookkeeper of Auschwitz”—oversaw the collection of prisoners’ belongings and ensured that valuables and money were sent to Berlin. Efraim Zuroff, the Simon Wiesenthal Center’s head Nazi hunter, told the Associated Press that the case marks an important legal milestone. The verdict also shows that courts are willing to prosecute former members of the SS who served at death camps, regardless of their age. As reported in the BBC, Groening’s lawyers argued that the former guard did not facilitate genocide. Prosecutors counter-argued by saying he helped the camp run smoothly. Judge Kompisch said Groening had willingly taken a “safe desk job” in a system that was “inhumane and all but unbearable for the human psyche.” The judge added that Groening knew exactly what was transpiring at the Auschwitz-Birkenau complex in Nazi-occupied Poland, but did nothing to have himself transferred away, which in all likelihood would have seen him sent to the deadly Russian front. The charges date back to a period between May and July 1944, when hundreds of thousands of Jews from Hungary were brought to the death camp, most of whom were immediately gassed to death. Contact the author at george@io9.com and @dvorsky. Top image by Reuters.